Several new talents have sprung from the “Kinderlach” choir. 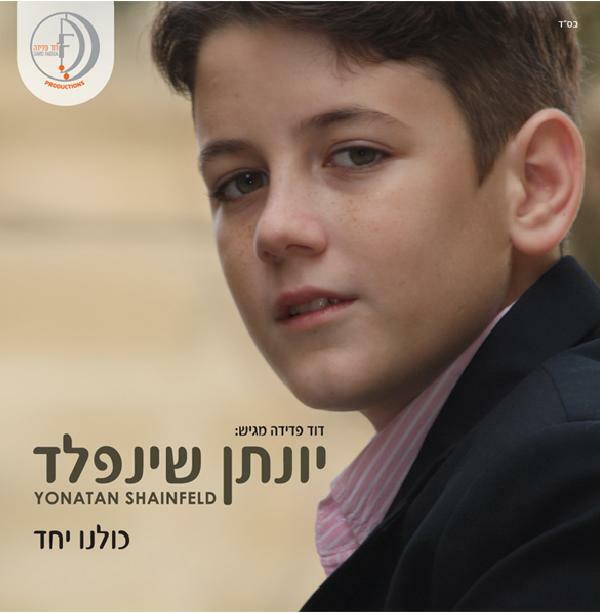 One former soloist of the successful group and a child protégé himself, Yonatan Sheinfeld from Bnei Brak is currently releasing his own album. Yonatan has been delighting others with his voice since he was 6 years old and has appeared in performances all over the world. During the past two years he has even performed alongside some of the masters of hassidic music – Avraham Fried, Ohad Moskowitz, Lipa Shmeltzer, Yishai Lapidot, Chazzan Yisrael Rand, Efraim Mendleson, and many more. Over the past year Yonatan has begun taking center stage, performing at a variety of dinners and appearances in Israel and abroad. “All Together” his debut album, features ten fast-paced hits in various styles. Sheinfeld is blessed with a rare velvety voice and boundless musical ability, which are showcased by this unique album of music written for him by some of the leading songwriters in the world of Jewish and Israeli music, here and abroad.The CD is produced by David Fadida who also produces Kinderlach, Ohad and Daniel Ahuval. Hear the title track, Kulanu Yachad here. Here is a video Yonatan singing with Ohad.